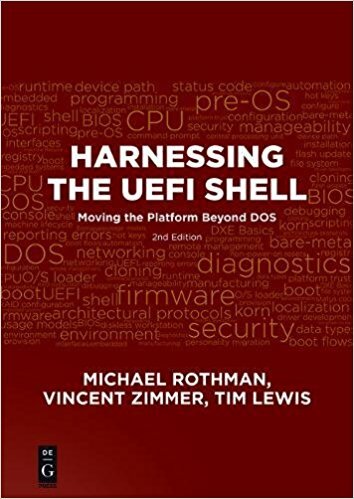 So What Does Security In IoT With UEFI Really Look Like? As usual, security continues to dominate the news about UEFI. DEFCON had several presentations related to firmware security. There is a good overview of the hardware and firmware attacks discussed over at Dark Reading. 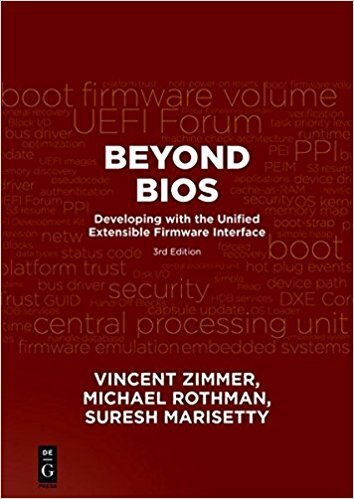 This included one by my friend Vincent Zimmer and his colleagues at Intel analyzing over 90 reported firmware vulnerabilities over the past 3 years. He discusses his experience on his blog. Another, by security researcher Alex Matrosov described exploits and called out specific computer models. Then there was some stuff on using CHIPSEC to detect improperly configured chipsets. As often as I deal with security issues in firmware, I am still ignorant of how the types of exploits that are available and the tools that are used by cyber-security professionals. There are always new kits coming out, with new features. But where do you get them and how do you use them safely without making you and your computer system a target-rich environment? Recently the CS2AI of Sacramento hosted two lectures. The first lecture focused on giving the nuts and bolts (step-by-step) of setting up your own environment, including virtual machines, TOR and Kali and even configuring a cheap Raspberry Pi as an analysis tool. The second lecture focused on the tools available under Kali, such as password hash crackers (with an up-close hack that used it), Sparta and Wireshark for network analysis and then an introduction to using Tor to venture onto the dark net with Tor. Why the dark net? So that you can see how much it costs to buy a hack of your company or a company that you care about! Next month will be wireless attacks and the tools that sniff out vulnerabilities. Good stuff. Security today has a lifespan-in hours, or maybe in months or years. My firmware job is to keep your system secure for the duration of one boot.